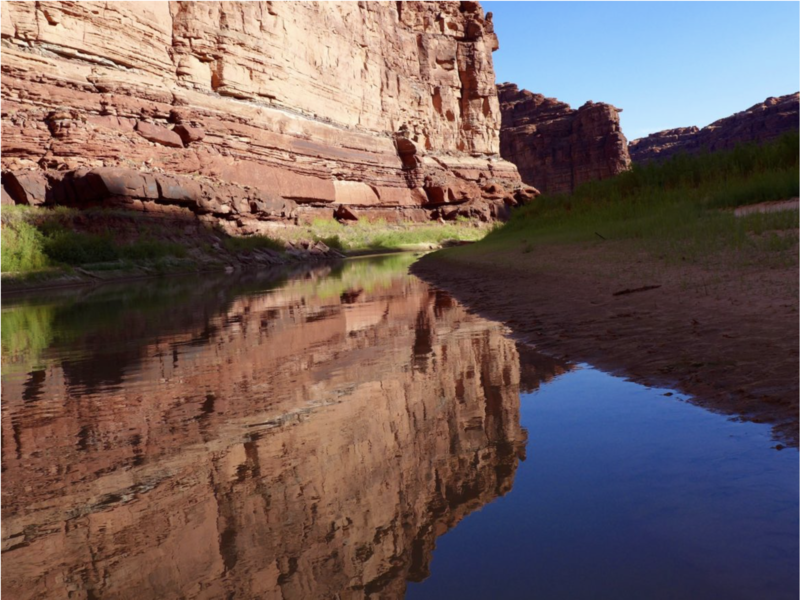 The Upper Colorado River Commission voted unanimously Wednesday to execute three agreements designed to bolster Lake Powell’s and Lake Mead’s water levels, which have been falling due to persistent drought and encroaching aridification in the Colorado River system. 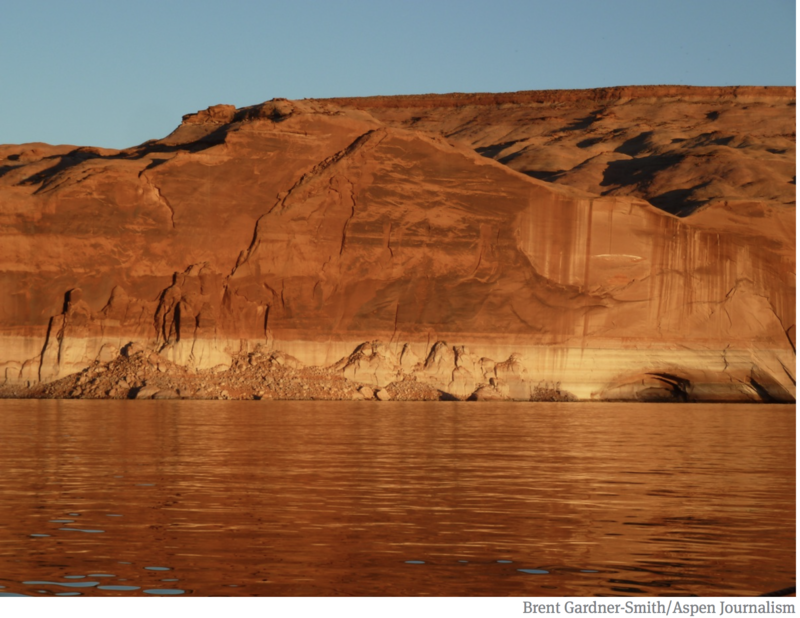 The second agreement approved Wednesday sets up a program where water can be stored in Lake Powell without the water being subject to a 2007 agreement that seeks to equalize the water levels of Lake Powell and Lake Mead, which today is 38 percent full. Under the terms of the compact, Lake Mead is considered to be in the lower basin. The water eligible under the agreement to be stored in Lake Powell, which would not be subject to being sent down to Lake Mead, must come from “conserved consumptive use,” or water that otherwise would have been mainly used in the growing of crops — such as alfalfa and hay — in the upper basin. 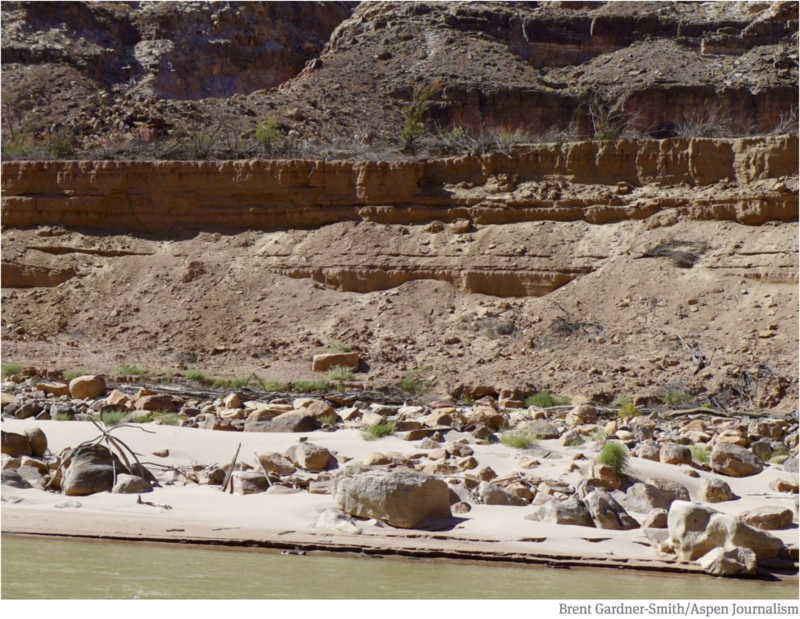 Sand and silt are piling up on the Colorado River above Lake Powell, as water levels continue to fall due to persistent drought and encroaching aridification. Water managers from San Diego to Wyoming are working to find ways to keep the river’s reservoirs, and water delivery systems, functioning. On Thursday, Burman spoke to the attendees at the Colorado River Water Users Association meeting and set a Jan. 31 deadline for parties in Arizona and California to approve the proposed drought contingency agreements. “It is high time to wrap up these efforts,” she said. If the parties have not do so by then, Burman said Reclamation will publish a notice in the federal register and give the parties 30 days to submit proposals to the Secretary of the Interior on what next steps he should take to avoid a crisis in the basin. “We will act, if needed, to protect this basin,” Burman said. 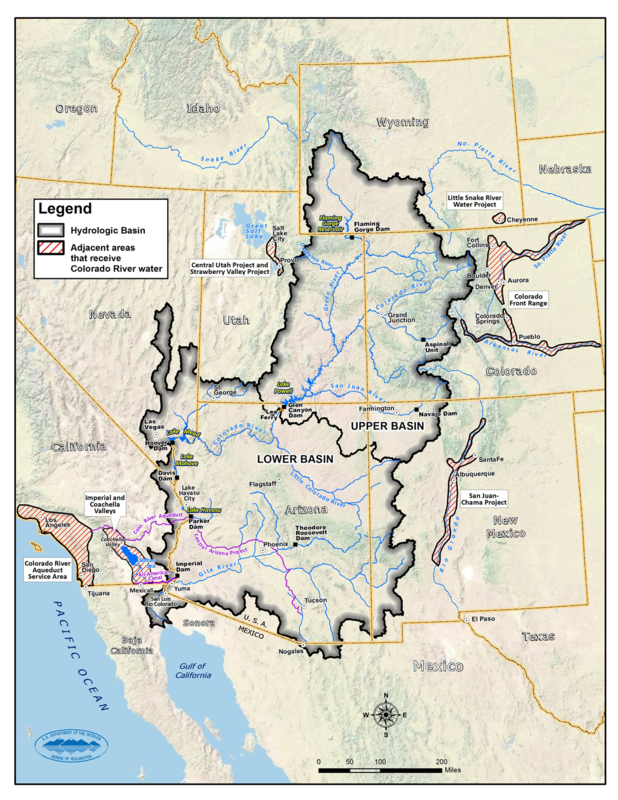 The possibility of direct federal intervention on the Colorado River system is something that many water managers in the seven basin states want to avoid. Burman said the combined level of storage in Lake Mead and Lake Powell is at 46 percent, the lowest combined level since 1966, when Lake Powell was filling for the first time. She also said just getting close to an agreement was not the point. Editor’s note: Aspen Journalism covers water and rivers in collaboration with The Aspen Times, the Glenwood Springs Post Independent and other Swift Communications newspapers. The Post Independent published a version of this story on Thursday, Dec. 12, 2018. This version was updated on Thursday to include Commissioner Burman’s comments. Federal Reclamation Commissioner Brenda Burman set a firm deadline for Western states to finish a set of Colorado River drought agreements, telling Arizona and California they need to sign on by Jan. 31. If states fail to meet that deadline, Burman said, the federal government will get involved and step in to prevent reservoirs from falling to critically low levels. She pointed out that Lake Powell and Lake Mead, the river’s two main reservoirs, are together at their lowest level since Glen Canyon Dam was built and Powell was filled in 1966. She said based on current trends, the level of Lake Mead, which now stands at an elevation of 1,079 feet, is projected to fall about 30 feet, below 1,050 feet, by the summer of 2020 — a level that would put the biggest reservoir in the country deep into a shortage. “It is time for us to pay attention,” Burman said. She said she’s encouraged by recent progress in the negotiations, and Arizona has made “remarkable progress” in developing the outline of an agreement for the state to participate in the larger three-state deal with California and Nevada. She warned, though, that the Interior Department can’t wait much longer for the Lower Basin Drought Contingency Plan, or DCP, until it takes action. While it’s unclear what she would ultimately do, officials of the basin states have long speculated that Reclamation would order specific cuts in river supplies to individual states to keep the reservoirs from crashing. The states have their own legal allocations to water supplies from the river due to the 1922 Colorado River compact, which all basin states have signed. But given federal control over management of the entire river basin, state water officials have long feared such federal intervention if they couldn’t come up with their own drought plans to adapt to river flows that have steadily declined since 2000. Burman’s statement and a subsequent talk she gave Thursday at a Colorado River conference in Las Vegas focused on the ailing reservoirs, Lakes Mead and Powell. They store drinking water and generate electric power for the basin states. Mead stores water for the Central Arizona Project that is Tucson’s main source of drinking water. Burman noted that Colorado, New Mexico, Utah, Wyoming and Nevada have all adopted drought contingency plans although Arizona and California have not. “This is not the (Reclamation) department’s preferred course of action, but action must be taken to protect the basin,” said Burman, who received a University of Arizona law degree and worked in the past for Sen. Jon Kyl of Arizona and for the Phoenix-based Salt River Project. Reaction to Burman’s warning was very favorable from many Arizona water officials, experts and activists. “Right on Commissioner Burman! That’s what she should be doing — keeping the pressure on,” said former Arizona Department of Water Resources director Kathy Ferris. This isn’t the first time the feds have threatened a takeover of river management to prod the states into action on drought plans. But Burman’s threat is more specific and more imminent than those made during the George W. Bush and Barack Obama administrations. Looming in the background of her comments was Lake Mead. As nearly two decades of drought and overuse has strained water supplies, the country’s largest reservoir — impounded by the Hoover Dam about 30 minutes outside of Las Vegas — has dropped to nearly 38 percent of its capacity. That means less water stored for users at farms and cities across the arid Southwest. Even before Jan. 31, Lake Mead will feel the effects of not having a drought plan in physical and concrete ways. The Metropolitan Water District of Southern California plans to begin taking stored water out of the reservoir starting in January, said its general manager, Jeff Kightlinger. The district, a wholesale water provider for Southern California cities, currently stores surplus water in Mead to keep reservoir elevations above a shortage level. With a drought plan in place, it would not be able to access that water in times of shortage. Because of uncertainty with the drought plan, Kightlinger said his staff is planning to begin removing the water in early January. That would further lower the reservoir level, making a shortage at Lake Mead even more likely. “That’s not what we want to do,” he said, noting that the district needed to protect access to its water but that it could put the water back in the reservoir when a drought plan is agreed to. During a panel Thursday, Southern Nevada Water Authority General Manager John Entsminger applauded the commissioner for “laying down the gauntlet” to get a drought plan completed. But Entsminger said the Drought Contingency Plan was still the preferred approach. When Lake Mead slips into shortage, that plan would require the states to take additional cuts in their river allocations, which were set forth in the Colorado River Compact of 1922. Because of conservation, the water authority has long argued that it would be able to weather the cuts in its supply. The idea is that by taking voluntary cuts, the states can avoid even more severe cuts in the future or cuts that might be required by the federal government if it took unilateral action. The water authority approved the drought plan in November, as have most large-scale users in California (with stipulations to see the final approvals). The primary holdout is Arizona, where cuts in the drought plan would be the most significant for agriculture and some developers. Arizona negotiators Tom Buschatzke, the head of the state’s Department of Water Resources, and Ted Cooke, the general manager of the Central Arizona Project, said they are close to a deal. But echoing the theme of the Colorado River conference, they both said close is not done. Unlike in Nevada and California, where state negotiators like Entsminger can sign on behalf of the state, any Arizona drought plan must receive approval from state legislators, making an already complex problem of water law an even more complex problem involving state politics. Kathryn Sorensen, the director of Phoenix Water, said that what Arizona is going through is a challenging discussion of how to lose less water in a basin where that is a reality amid drought and climate change. There is more water on paper than there is actual water to go around. What concerns Entsminger and others is the forecast that federal water managers are likely to declare a Lake Mead shortage as early as 2020. Such a declaration would be unprecedented, and water managers have stressed that they want to be prepared before a shortage, not after. James Eklund, the negotiator for Colorado, said the approval was a big deal for the states. But he noted that a full drought plan would not be complete until the Lower Basin states signed on. Even though the short-term plan to use less water across the Colorado River is attempting to address drought, Eklund said that it is, in some ways, also addressing climate change. For nearly 20 years, the Colorado River Basin has faced a drought that has challenged the assumptions that the watershed would be able to provide the amount of water that states are legally allowed to take from it. 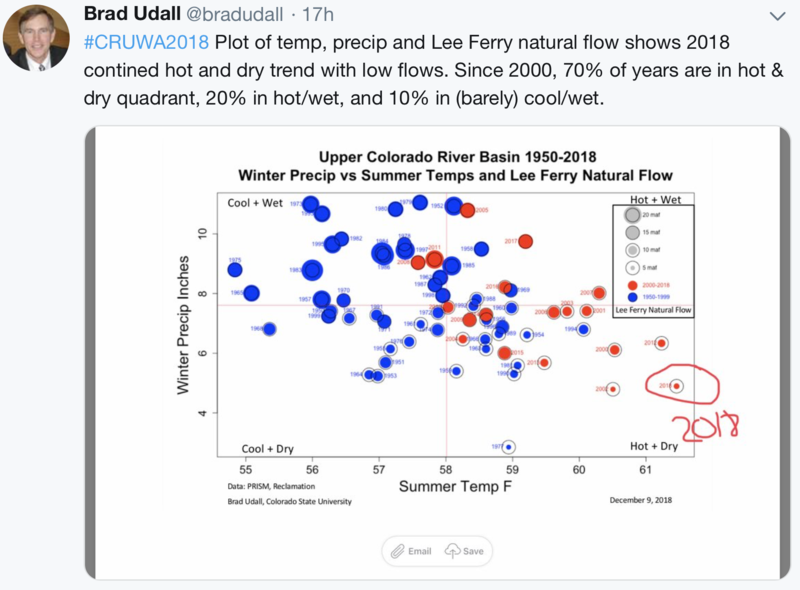 Studies have linked warm temperatures with reduced streamflow in the river and have predicted that climate change to continue drawing down future supplies. Officials from the federal government and seven states are meeting in Las Vegas this week to discuss the future of the Colorado River. The original plan was for the states to unveil an unprecedented set of drought contingency plans to adapt to continually dropping Colorado River levels. But due to protracted negotiations within California and Arizona, that isn’t happening. Instead, the U.S. Bureau of Reclamation warned everyone that if all drought contingency plans are not submitted by January 31, 2019, the federal government will prepare to potentially mandate cuts in 2020. How might this affect Nevada, how are we preparing for prolonged drought becoming permanent “aridification”, and how might we have to change to ensure we’re never left high and dry? At last year’s Colorado River Water Users’ Association (CRWUA) annual conference, newly confirmed U.S. Bureau of Reclamation Commissioner Brenda Burman encouraged all seven Colorado River states (Wyoming, Colorado, New Mexico, Utah, Arizona, Nevada, and California) to present their drought contingency plans (DCP’s, or comprehensive agreements that include voluntary water cuts) by December 2018. Federal and state officials then prepared to present all seven states’ DCP’s here in Las Vegas this week. That’s not happening. Though California may be close to finalizing their own DCP, Arizona stakeholders continue to debate what exactly will constitute their DCP, from Phoenix’s City Council at a stalemate over a water rate hike to pay for infrastructure improvements to the Arizona Legislature preparing to debate the overall DCP when they convene next month. The Arizona officials who spoke at the conference claimed all sides have made considerable progress in nearing a final agreement, a sentiment that Burman herself also expressed today. 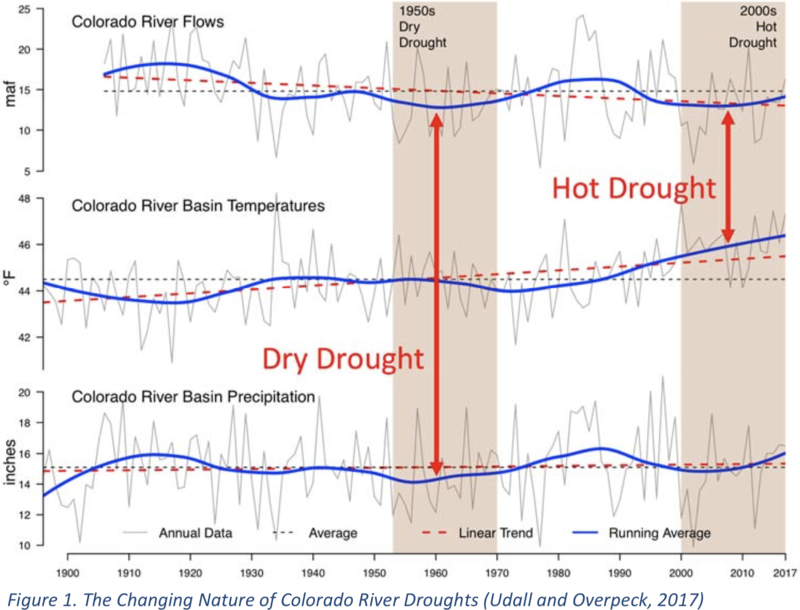 In June, High Country News’ Emily Benson wrote about how the word “drought” is no longer the most accurate way to describe the Southwest’s ongoing dry spell. Instead she used the word “aridification”, and Esquire‘s Charlie Pierce followed suit this week as he described the tension that’s led into this year’s CRWUA Conference. Due to that (not-so-little) thing called climate change, this frightening terminology is becoming less of a far-off “worst-case scenario” and more of a clear and present danger that must be solved right here and now. 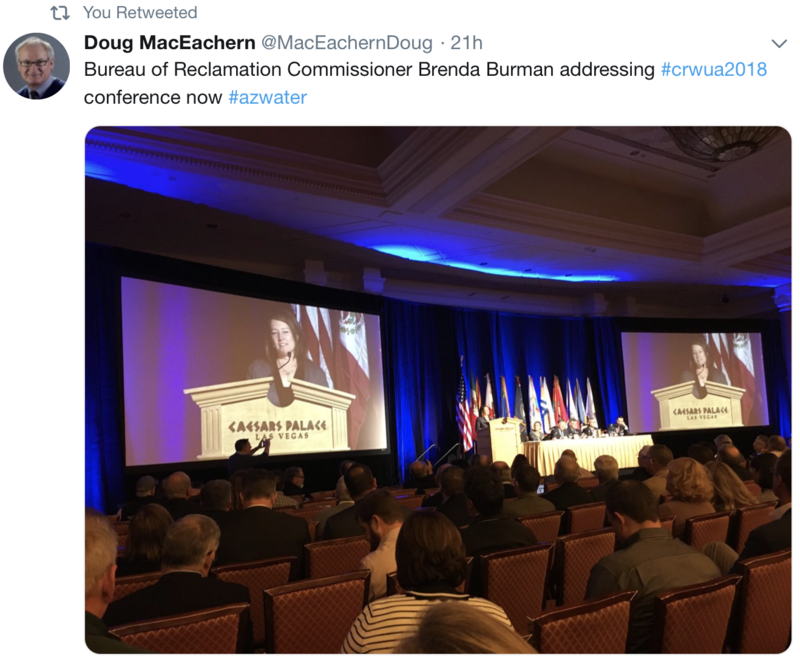 To a gilded Caesars Palace conference room of more than 1,000 attendees of the annual Colorado River conference, the message from U.S. Bureau of Reclamation commissioner Brenda Burman was simple: Finish these deals before the federal government is forced to step in. “We all know it is high time to wrap up these efforts,” Burman added. Out of the seven U.S. states that pull water from the river, Arizona has struggled the most to figure out which water users would see cutbacks first, by how much and under what conditions. 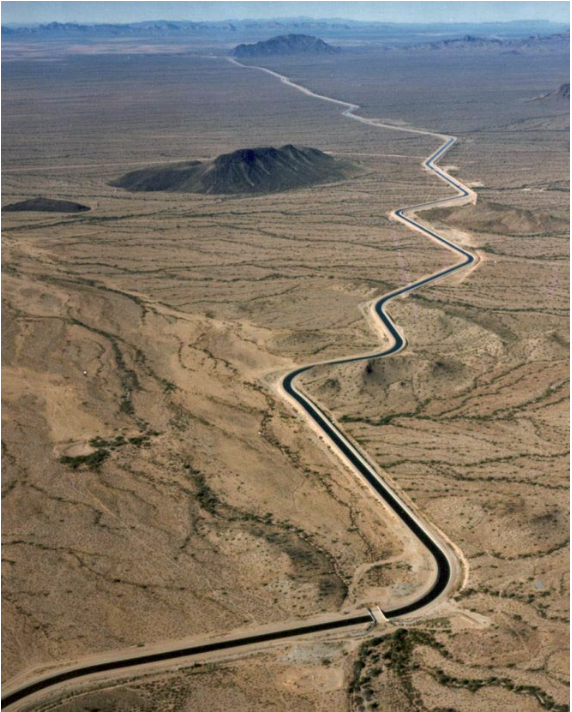 The debate has pitted farmers against the cities, home builders and tribes who rely on deliveries of Colorado River water from a 336-mile canal. Completion of the plans became more urgent after the record hot and dry conditions within the Colorado River Basin this past year, Burman said. Portions of Colorado and Arizona experienced their record hottest and driest summer during 2018. Snowpack this winter is hovering around average levels. A final deal will require federal legislation and approval by the Arizona Legislature before it can be put into action. Salton Sea screen shot credit Greetings from the Salton Sea — Kim Stringfellow. The river that carries winter snowmelt from the Rocky Mountains to the Gulf of Mexico is plumbed with dams to generate hydropower and meter water releases. It provides drinking water to 40 million people and cities including Los Angeles, San Diego, Denver, Phoenix and Las Vegas. 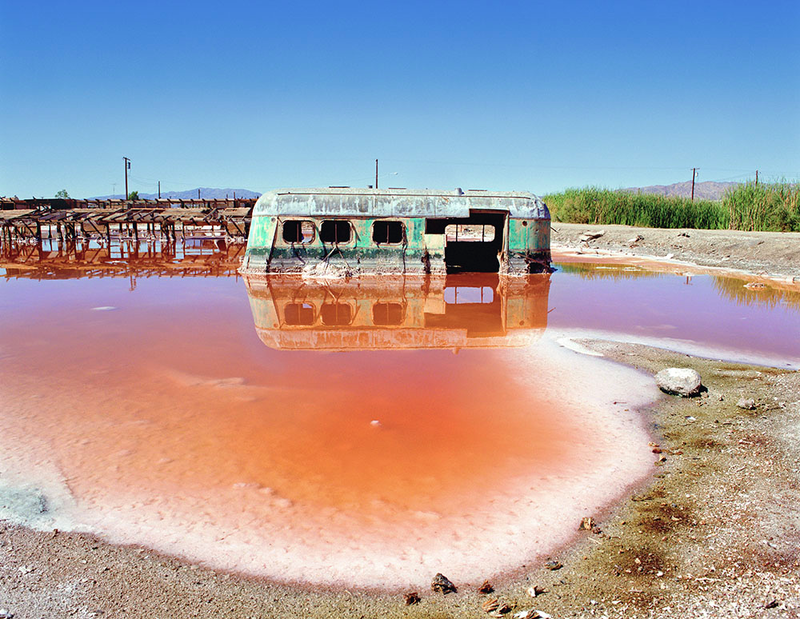 It irrigates crops in wide areas once deemed as reclaimed desert in the U.S. and Mexico. Take some time to review the #CRWUA2018 Twitter stream. Folks have been very active.